Creating a great investment portfolio requires a lot of research and exploring options you might not have considered. You need to look beyond a traditional 401(k) or stock options. North Phoenix investors should include gold in their portfolios to improve their financial success. 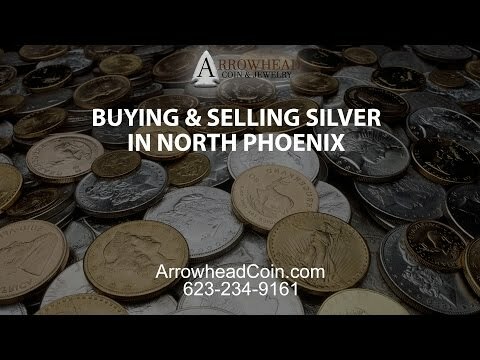 Fortunately, the Arrowhead Coin & Jewelry gold shop provides investors plenty of opportunities to buy gold in Arizona. Diversifying your investment portfolio will reduce your risk. Should one investment underperform, those losses might be offset by gains from other investments in the portfolio. If you have enough diversity in your portfolio, the idea is that you will see continual overall gains. Gold is a relatively stable commodity that is an excellent choice for diversifying your portfolio. By adding it to your investment portfolio, you’ll reduce your risk of loss. Gold is a fantastic choice for any investment portfolio because it has global value. You won’t have to worry about your ability to sell the gold for a profit because of market fluctuations. You’ll always have a market for your investment. Your investment portfolio will be portable, and you’ll have more investment choices. Gold maintains its value across currencies, as well. Even if the pricing might be different, the relative value will remain about the same. What gold costs in England won’t vary too much from what it costs in Canada, even if you pay for it differently. Unlike other traditional investments like stocks or mutual funds, gold is an actual, physical good. Not only that, but it is a physical good with longevity. Gold can’t be destroyed by fire, and it can’t decompose with time. Its longevity contributes to its value. Because gold is tangible, you can also ensure its quality before investing. Visiting a gold shop will give you the opportunity to inspect the gold in person and ensure its value. You can choose from gold coins, bullion and even bars. Historically, gold has held its value. No matter what else has been happening, gold has maintained its value better than other investments. While gold will still fluctuate in value, it will not fluctuate as much as other investments. When you invest in gold, you can trust that its value will only steadily increase over time. If you are looking to buy gold in North Phoenix, Arrowhead Coin & Jewelry offers multiple options at great prices. We sell everything from gold coins to gold bars, and we have some of the most competitive prices in North Phoenix. We also buy gold if you are looking to move things around in your portfolio. We buy silver & gold jewelry, coins, bars and more. Because we buy gold, as well, we always have a large stock on hand to meet your buying needs. Visit our North Phoenix gold shop to learn more about your investing options with gold and to start diversifying your portfolio.